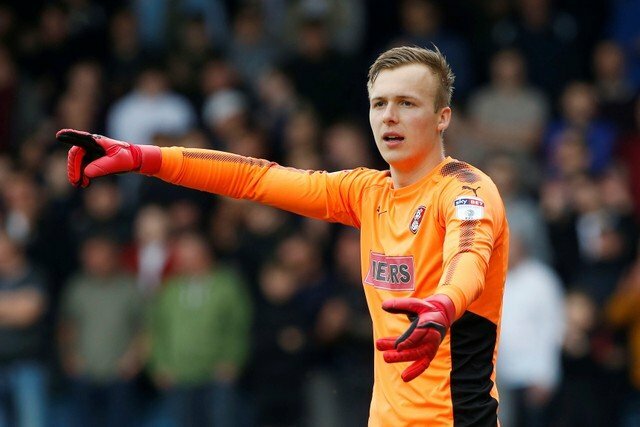 Rotherham United have re-signed goalkeeper Marek Rodak from Fulham, subject to EFL and FA ratification, on a season long loan. The twenty-one year old Slovakian came through the youth ranks with FC VSS Kosice joining Fulham in 2013. After having loan spells with Farnborough, Welling United and Accrington Stanley, Marek made his debut for the Cottagers in their EFL Cup win over Wycombe in August last year. Later that same month he joined the Millers on a season long loan. Marek made his debut for Rotherham at the New York Stadium in August 2017 in our three-two win over Bury. From then he kept the number one shirt going on to play another thirty-seven times including the League One Play-Off Final at Wembley where a number of saves helped the Millers in their two-one win. Last season he kept twelve clean sheets for Rotherham included in that is our home leg of the Play-Off semi-final against Scunthorpe. Marek has caps for Slovakia at Under 19 and Under 21 levels. All at Vital Rotherham welcome Marek back to the New York Stadium.